Hi! I just completed my first ever pc build. It was a little scary at first but in the end i was happy and confident. I am going to use this pc for mostly gaming and also work. Will do some complex graphic designing, animation, video editing and so on. Played shadow of the tomb raider and gta 5 and they run sooo smooth. No problem with fps at all on max settings. I wanted a white build so i got it mostly white. I will be doing an upgrade in couple of months. Upgrading 16gb of ram to 4 sticks 32gb. Water cooling cpu (aio), puting in better fans (cooling is good even now when gaming getting max 60 degrees on cpu and gpu) and installing samsung evo 970 ssd to the motherboard. Hope you like it. Greetings from Slovenia! NICE AND CLEAN! +1 Where did you get those cables from? Moram da ti kazem: tvoj comp je ODLICAN! Jedino sto me mene smeta, je ovaj 8-pin GPU power cable xD MOLIM TE povuci ga samo malo pozadi da ne visi tako. Sve u svemu je perfektno! I have to tell you: your pc is GREAT! The only thing that bothers me is the 8-pin GPU power cable xD PLEASE push it just a little more behind the cover so it doesn't hang it like that. All in all it's perfect! Hvala! Hoću! Nemam "cable combs". Moram nabavit in to sredit! hey man i have a very similar build and my motherboard started giving me random black screens and i had to replace, just wanted to give you a heads system looks dope tho! Thanks! Just black screen or system reset ? Nice build. Built something almost identical 3 months back. Love the case. Thanks! Yeah, probably going with nzxt cases for every build in the future. Extremely clean build. Very nice wire management! Great build. I've got a pretty similar Intel build. Haven't updated on PcPartPicker yet, but yeah. I'm getting the same CPU and GPU for my build, and I wanted to ask, how are benchmark scores? Nice Build btw! Thanks, Benchmarks are very good for stock. On free version of 3DMark time spy i get a score around 10.000 which gives you "better than 92-93% of all results" with overclocking you could probably push more i guess. All the games run really smooth. Playing shadow of the tomb raider and gta v on max settings easy. Alright, thanks for the help! All you need are some cable combs for the GPU and Motherboard and it will look pretty much perfect. Thanks! Yes i thought they will come with extensions...my next buy! Do you only have a single intake and exhaust fan? I want to get an idea what temp would look like with air cooling in that case. Also are those 120mm or 140mm fans? Cooling is actually really good. On normal work i get aprox. 35 degrees on GPU and 34 degrees on CPU (celsius) and some light gaming (cs:go) aprox. 40 degrees on both. On really hard gaming is between 50-60 on both. On the hardest stress test for GPU it didnt go over 69-70 degrees and on CPU stress test was around 60-65 max. So stock cooler on 2700x is quite good. When i stop playing games temps drop to 35 very quick so i guess cooling is doing the right job. I am using three fans. One 120mm exhaust fan in the back and 2 front fans (one is 140mm one is 120mm) I have ordered one more 140mm fan for the front. I have read that the best fan configuration for this case is one 120mm exhaust on the back and two 140mm in the front for intake. Hope it helps! wow this is your first? this looks fantastic! way better than mine... great job! Thanks! Yeah it was first, little scary at the beginning but ended up really nice. I am very happy. Made a plan before the parts arrived and watched like hundred yt build guides but it was scary because not one build guide had the same components. Nice build ! Can I ask where on the motherboard did you plug the rgb cable from the wrath cooler? I have same MB and same cooler and the cable seems a bit too long and is in a way of everything else. Thanks! The plug for rgb cable is on the bottom, left of F-panel cables (power on, reset...) it has white plastic. (right of usb 3 cable). I tucked the cable behind GPU a little bit and run it behind the case where motherboard cable comes in and out underneath the motherboard (same as case cables). Hope it helps! Hi, i have the same build but with a ryzen 2600x. Same mobo and ram. I haven't been able to gain control of the rgb on the ram sticks. I've tried iCue, asus and gigabyte rgb software. But no luck. Did you have to jump through any hoops to get yours to work? Hi, I think there is a problem with controlling the rgb on the ram because this ram isn't on asus x470 prime pro compatible ram list. So it's not fully compatible. It does not affect the performance of the ram but i think that's why we cant fully control the rgb on this ram. iCue and Aura didn't recognized my ram but gigabytes software did (rgb fusion 2.0). Once you install fusion 2.0 restart the computer go into the fusion 2.0 and change the color of the ram (it probably wont change right away) close the program and reopen the program. (Probably it will only change one stick). shut down the computer and turn it on and go into the program, change the color and change it back to your wanted color, save. Quit the program and reopen the program. Shut down the computer and repeat the same step, go into the program, change colour and reopen the program. And this got it working for me... a few shutdowns and restarts of the program and its working like it should. (It usually changes colour when i reopen the program after i change rgb) hope you get it working! This is almost the same parts i want to use in my pc i am hopping to build. Do you have any tips on anything with that pc. Everything is perfect for me so i wouldn't change anything. But the RAM isn't on the motherboards compatible ram list. It is very hard to control the rgb lighting on the ram but performance wise no problems. I have overclocked ram and it is working fast and without problems. I got this ram because of performance and looks so rgb wasn't that important to me but i knew i will make it work. So maybe pick ram from compatible list to avoid any extra work to get the rgb lighting on the ram to work. Probably because it isn't fully compatible with the ram the asus aura and iCue doesn't recognize it. Fusion 2.0 from gigabye did the trick for me. I’m making the same build with the GPU, Motherboard and Case except for a Ryzen 5 2600 and wait until the new series come out. Nice, I had the same thoughts! So when i do my massive update will probably put a ryzen 3 in there. Very clean. Great work and great parts! Very clean build! I would suggest investing in some cable combs but other than that a great build! How is the system- Is there anything you would change? Woop, nice for you! I wouldn't change anything because everything works so smooth and good. Performance is great, temp. are good, no problems or anything. But! The ram (corsair vengeance rgb pro) isn't on the list of compatible ram with asus x470 prime pro motherboard. I don't have any problems with performance. I overclocked ram and its working great, so no issues in performance, but maybe because it is not fully compatible. Its hard to get rgb change on the ram. I googled it and its common problem with this ram and this motherboard (probably because it is not fully compatible). Asus aura doesn't recognize the ram and not even iCue from corsair. Gigabytes program does but it does not offer as much rgb settings as iCue. So if this ram isn't a must on your build maybe pick a ram that is on the motherboards compatible ram list (you can get the list on asus x470 prime pro webpage). But make sure you get 3000Mhz+ ram if using this cpu. It boosts performance and fps in games. Yeah I was thinking the same thing. I might switch up the RAM and/or MOBO. But I'm loving the white theme in PC. 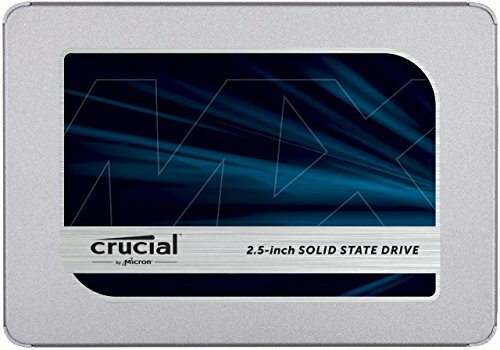 Can I get your opinion on the RAM/MOBO? Can you see the sleekness of the asus x470 prime pro? Can you really see the MOBO when you look at your PC? Thanks for helping me- I really appreciate it! Hi, I am thinking of doing your exact build or something very similar. This would be my first time ever building one. 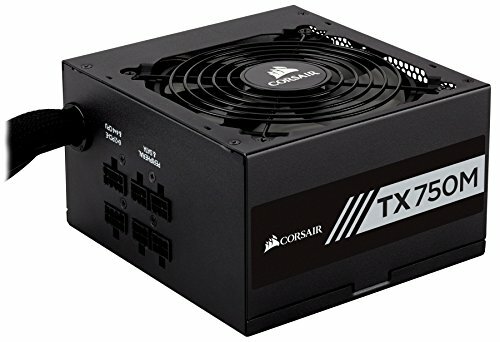 I know how to build a pc, but feel a bit intimidated. I'm just confused on downloading the motherboard drivers when your done the build. Where did you go to download them and what drivers? Also you didnt overclock the 2700x right, because i dont want to overclock. Any help would be appreciated, Thanks. Hi, This build is very good so far, awesome gaming and work experience. No problems. But as i said in some of the comments This exact RAM isn't on the motherboards "compatible ram" list. it works great, great performance i overclocked it a little bit and its perfect performance wise. But it is very hard to control rgb lightning because the ram isn't fully "compatible" with the motherboard. So if you want to avoid extra work trying to figure out how to get the rgb working as you would want, pick a ram that is on the motherboard compatible list ( list of compatible motherboard ram with ryzen 2nd gen: https://dlcdnets.asus.com/pub/ASUS/mb/SocketAM4/PRIME_X470-PRO/PRIME-X470-PRO-memory-QVL-Ryzen-2nd--Generation-processors.pdf?_ga=2.144290172.879456115.1550001799-285558132.1550001799 ). I didn't overclocked cpu (ryzen 2700x) because i have stock cooler and i dont want to overclock it on stock cooler. Maybe i will overclock it when i get water cooling, I just overclocked gpu and ram. You don't need to overclock anything...But one tip! Your PC will set your ram to default 2133Mhz speed, You will probably buy a faster ram, at least 3000Mhz is recommended when using amd cpu it will boost the performance. So go to the BIOS and just set from auto to D.O.C.P. in ai tweaker->ai overclock tuner and its done! For gpu just download geforce experience from geforce website and it will automatically download all the drivers needed for gpu. And that is pretty much it. Just watch some tutorial on how to update BIOS but it is very easy so no pressure and highly recommended. I think there are tutorials on updating BIOS for the same exact motherboard. You can install all drivers in like 10min. PC will boot up just fine and work without drivers so there is no pressure just take your time to download and install all drivers. Also you can get some software that checks if you have all drivers installed and then install them for you i think the DriverPack is good ? but you dont really need this, just download all drivers from asus (x470 prime pro page) and geforce experience and you are good! So basically this is a 1400$ PC build? Hi i just wanted to ask what price you got the 2070 at, as mine is showing 83.14.